The annual River Round Up is an amazing community-based conservation effort. 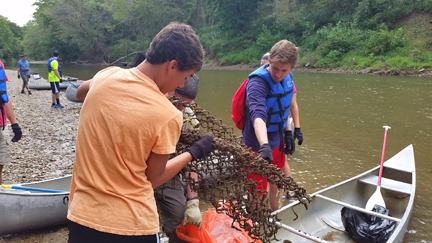 Hundreds of volunteers and event sponsors pull mountains of trash from Licking County waterways. GRANVILLE, OHIO (September 1, 2016) On Saturday, September 10 th , volunteers and event sponsors will meet at a variety of locations: to pull up sleeves, roll up pant legs, and put on boots to help with the Licking County River Round Up. The goal is to clean up as many waterways as possible throughout Licking County. 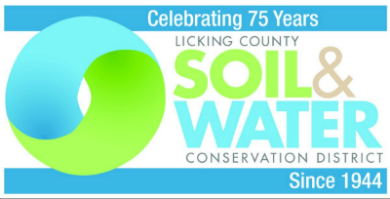 https://rrup2016.eventbrite.com or call Licking County Soil and Water Conservation District at 740-670- 5330. The River Round Up began in 1988 as a Newark City Litter initiative. 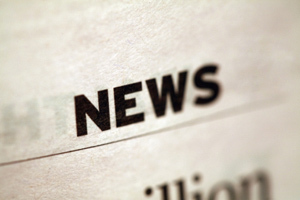 A long-time goal of the clean up initiative is to involve community members, to recruit businesses, community organizations, and youth to form the cleanup teams that keep the waterways clean. The annual clean up has inspired hundreds of volunteers to pull tires, shopping carts, and loads of trash from an 18-mile stretch of the river. Because of these volunteers, a river that was dying has seen a rebirth of aquatic and bird life. In 2011, after an 8-year hiatus, several Licking County and City of Newark agencies banded together once again to involve the community in cleaning miles of rivers and streams. Thanks goes out, for a second year in a row, to Shacklefords Disposal, our 2016 Presenting Sponsor. There are several sponsorship levels available to support the River Round Up. If you would like more information about being a Licking County River Round Up sponsor, call 740-670- 5330 or e-mail information@lickingswcd.com. Licking County, while protecting wildlife and local history in a manner that enriches our communities and provides access to diverse parks, educational opportunities, and health and wellness activities. The LPD manages over 1,600 acres of parkland on ten sites and over 40 miles of paved multi-use trails across Licking County. The LPD office, at Infirmary Mound Park, is accessed from Rt. 37. For more information contact the Licking Park District at 740-587- 2535 or www.lickingparkdistrict.com.